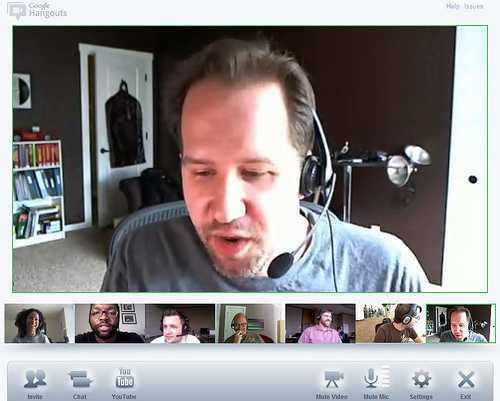 Google Hangouts 8.0 has the latest feature and improvements for its millions of users across the globe. However, one of the most interesting additions is the ability to record and share videos that run for up to 60 seconds. This is not completely new to avid followers or rather users of Google Hangouts. In 2014, the search engine giant introduced this feature for iOS users, letting them record and share videos of up to 10 seconds in duration. This was on version 2.0 of the app and now that we are at version 8.0, a lot has changed along the way. This is good news for those who were wishing for more time on the video recording feature as the 60 seconds can be used to record a lot. As of now, the new version and features are only available to those using Google Hangouts on iOS devices. This cannot be explained for now, but hopefully, the feature will also be added to the Android platform. Other than coming in with the new duration for recording and sharing videos, the new update also brings some improvements to performance and functionality of the app, including support for the enterprise platform Google for Work – Mobile Management. As usual, these iOS app updates are uploaded to the iTunes App Store. This is where you will get the latest Google Hangouts 8.0, download and install it for free. As noted before, there is still no version for Android users and there is no date of when it will be availed, or even whether it will come to this platform. While this is happening, the company is also rolling out another update that doesn’t require users to head to their respective stores in order to get it. After recently expanding the number supported by its conferencing tool to 15, the search engine giant has also shifted it to 25. However, to ensure that your data bundles are well handled, the Google Hangouts app only displays the 10 “most active” users in the video right at the bottom of the screen. Something that you should probably take into account before thinking about using this Google Hangouts update is eligibility for the update. As it seems, not all users of Google Hangouts will be able to get this update at the moment. Google has availed the update to customers of the Google Apps. I can’t say I’m impressed. But then again, I use Threema as main messenger (so I’m hard to please).